‘Transdisciplinarity’ is a form of research and practice that synthesises knowledge from a range of academic disciplines and from the community. There is now global interest and a significant body of work on transdisciplinarity and its potential to address the apparently intractable problems of society. This creates the opportunity for a specific focus on its practical application to sustainability issues. 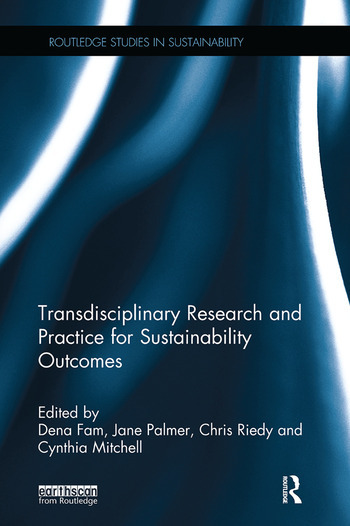 Transdisciplinary Research and Practice for Sustainability Outcomes examines the role of transdisciplinarity in the transformations needed for a sustainable world. After an historical overview of transdisciplinarity, Part I focuses on tools and frameworks to achieve sustainability outcomes in practice and Part II consolidates work by a number of scholars on supporting transdisciplinary researchers and practitioners. Part III is a series of case studies including several international examples that demonstrate the challenges and rewards of transdisciplinary work. The concluding chapter proposes a future research pathway for understanding the human factors that underpin successful transdisciplinary research. As Emeritus Professor Valerie Brown AO notes in her Preface, this book moves transdisciplinary inquiry into the academic and social mainstream. It will be of great interest to researchers and practitioners in the fields of sustainability, qualitative research methods, environmental impact assessment and development studies. 10. Transforming cities: securing food and clean waterways through a transdisciplinary phosphorus approach Dana Cordell, Genevieve Metson and David Iwaniec et al. Dena Fam is Research Director and UTS Chancellor’s Post Doctoral Research Fellow at the Institute for Sustainable Futures, University of Technology Sydney, Australia. Jane Palmer is Vice Chancellor’s Research Fellow (Community Futures) at the Institute for Resilient Regions, University of Southern Queensland, Australia. Chris Riedy is Research Director at the Institute for Sustainable Futures, University of Technology Sydney, Australia. Cynthia Mitchell is Deputy Director of the Institute for Sustainable Futures, University of Technology Sydney, Australia.